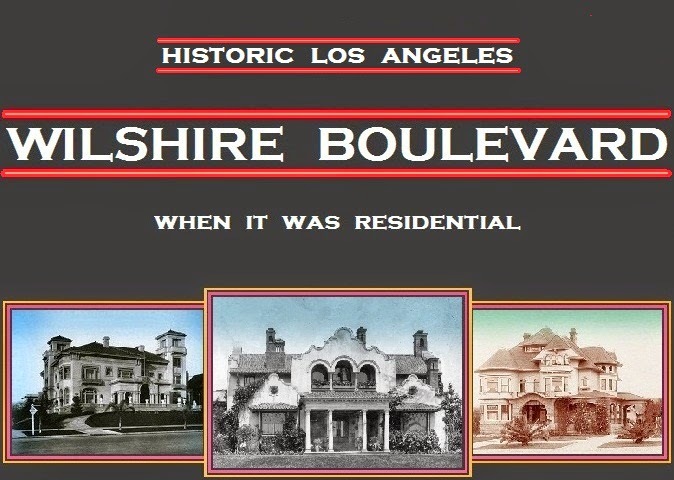 Small for Wilshire Boulevard, 4536 was, per its original specifications, a one-story, seven-room house measuring 36 by 52 feet. Felix Duenkel, an apparently ambitious draftsman at Llewellyn Iron Works, seems not to have minded sacrificing square footage for an impressive address. 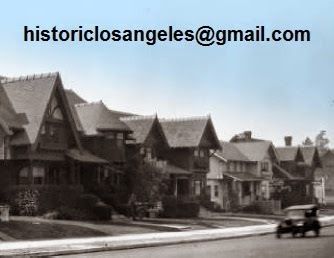 Part of the old Januario Abila property lately owned by the Mullen Estate was a holdout just west of Fremont Place; now known simply as Tract 4573, development of it began in the early '20s, a decade after Fremont Place and Windsor Square and more or less concurrently with Hancock Park. Duenkel purchased Lot 2, Block 3; the Department of Buildings issued him a permit to begin construction of his new house there on July 23, 1924, although his family appears not to have moved in until 1926. The architect was Robert D. Jones, who worked with pioneer real estate dealer and builder Sanson M. Cooper. The house survived until 1980, with the Department of Building and Safety issuing a demolition permit on September 24 of that year. It was photographed in 1978 by Marlene and Annie Lasky, as seen at top. Its full story will appear in due course.